After receiving some very expensive quotes to have my wooden French doors replaced, I am glad I found Flying doors. I called up to check I was measuring correctly (which is the scary part), and was given great guidance. Doors made and arrived within three weeks - which is amazing. Had my builders put it in, which took half a day. They look great - fantastic value - and would definitely recommend. Really helpful Sales Team. I ordered a number of Items, i.e. very Large made to measure Conservatory windows x 2 at 200H X 160W & a made to measure french doors. 210H x The Patio door was slightly damaged but I had seen the damaged until we removed the packaging weeks later. 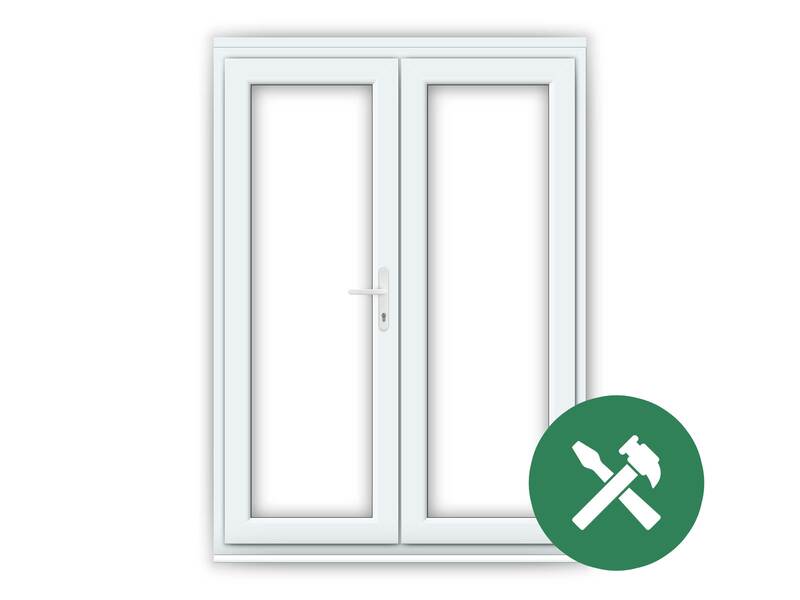 Nevertheless I spoke to sales concerning the issue, and they supplied new doors in under 10 days. I had Made to Measure. Received my doors this morning as requested, excellent quality Delivery men most helpful and polite, would recommend your company to anyone. GREAT SERVICE!!! Thank you so much. Can I just say what a fantastic company you are. I know that in the end I couldn't use the doors due to the fact that being a women! I measured incorrectly & they were too big, But, from the start of ordering the doors & then returning them & getting a refund you & your team have been fantastic & I only wish that more company's were like yourselves. As someone who does a lot of on line shopping, believe me, many company's are not like yours!! I will be telling all my friends about you & any works I have In the future where I am in need of your products, I will certainly be using you. Brought these french doors and got trades men in to fit them, saved money that way. It took a few hours to install them but they now look really nice, very very happy customer indeed. Will always use Flying Doors for quality stock and made to measure products. Excellent lead times and delivery, excellent products. From easy ordering, delivery and actual doors. Just brilliant and a fabulous price. 4 sets bought, 4 sets delivered on time at various customer addresses. Will buy again. Thanks. Bought first set of french doors for a customer in july, not one single problem and easy to install. Thanks for a good service. amazing service and great quality product, I had mine made to mesure as slightly diffrent sizes so took 8 days that's why i gave 4 stars, but still quick and many thanks flying doors!